A beautiful rose gold bar keyring, engraved with the name or initials of your choice. 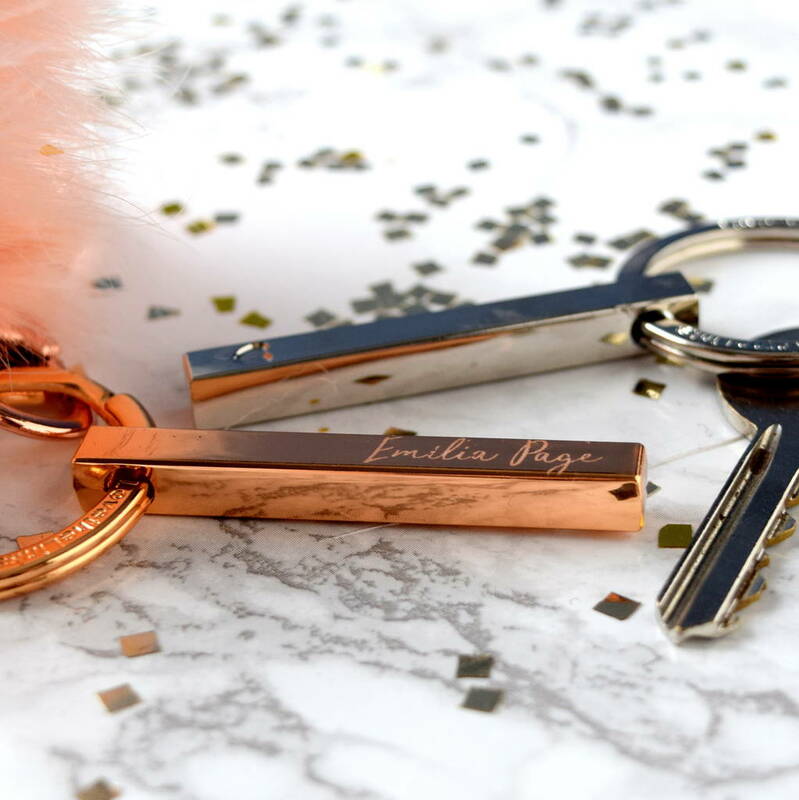 This personalised engraved rose gold or silver key ring makes a great birthday gift, christmas gift, stocking filler gift or as a gift for somebody who has just passed their driving test. The rose gold or silver bar can be personalised with any name you like, making it a great personal keepsake gift and then has a small love heart motif on the opposite side. There is the option to add a matching pink fluffy key ring, which will be loved by girly girls, who love for their car keys to look pretty. This personalised keyring makes a great 17th Birthday gift for somebody who is about to learn how to drive or as a new home gift for somebody who has just bought or renting their first home. Can be personalised with the name or initials of your choice. Can add matching pink fluffy keyring.